98% of teens would cry if they saw Justin Bieber above the skyscraper about to jump; copy and paste this to your profile if you're the 2% who would stand there with popcorn yelling: "DO A BACK FLIP!" 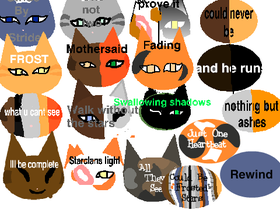 Warrior Cats! I SHIP IT!